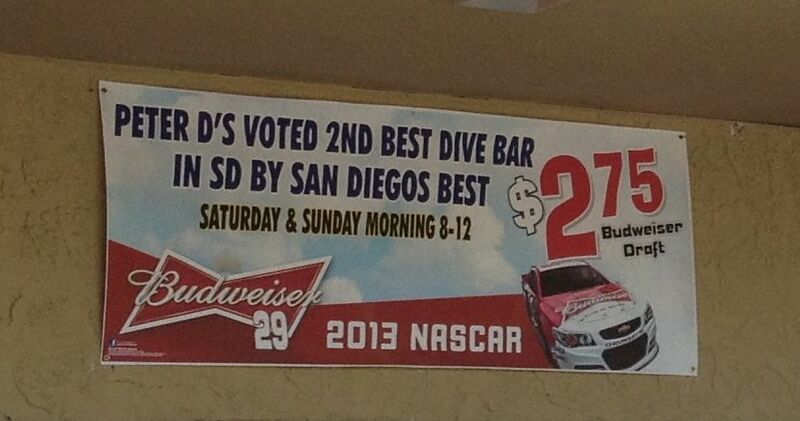 They measure success in an odd way ... proud to be "Second Best Dive Bar in San Diego". Though I've watched plenty of old Bogart movies, I won't pretend that I know a lot about these sorts of places. If I needed to commiserate with a bartender, I'd probably look for either the "Best Dive Bar" or the "Worst Dive Bar." 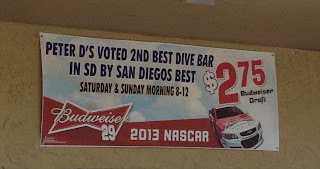 But who goes to the 2nd Best place? 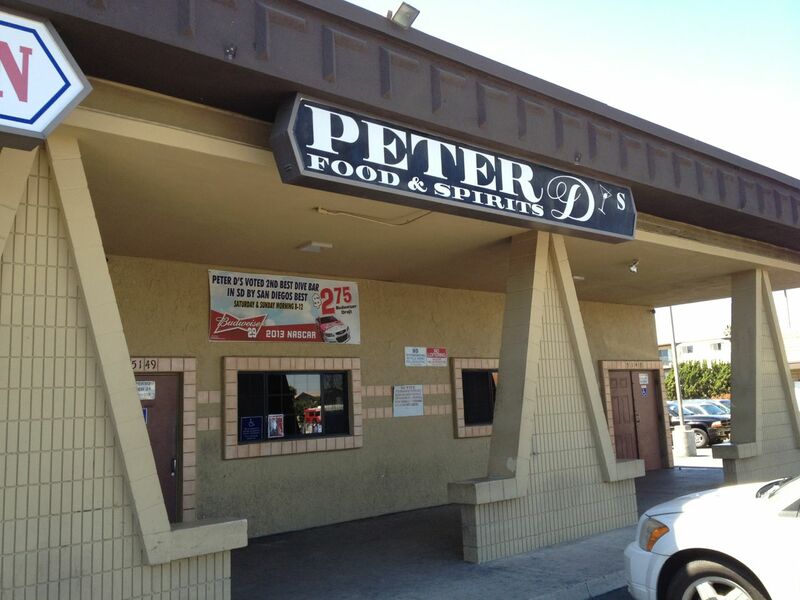 Maybe folks who want to be able to say, "I've been thrown out of nicer places than this!"